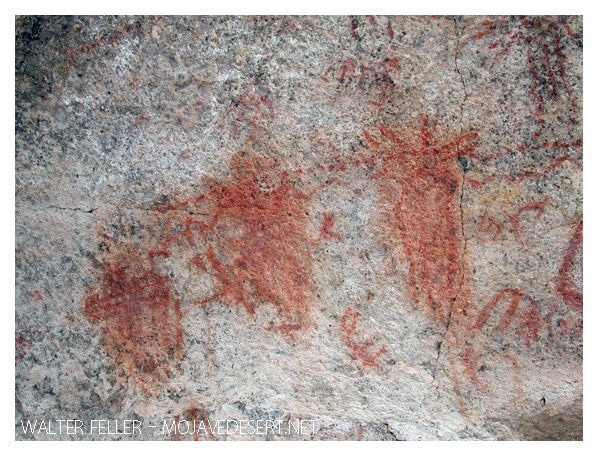 One evidence of Native Americans inhabiting the Mojave Desert is the rock art that can be found on cave walls, boulders and cliff faces. 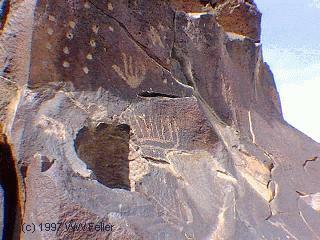 There are two kinds of rock art: pictographs (rock paintings) and petroglyphs (rock carvings or engravings). 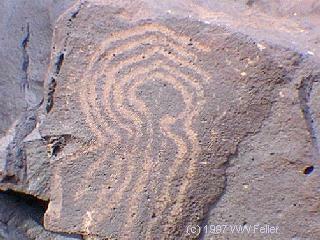 Generally, petroglyphs are more common in the Mojave Desert than pictographs. 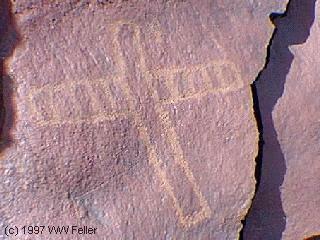 Interesting in that later habitation sites are often found near clearly earlier petroglyph sites, but they are not exclusive to each other.